Boxing was phenomenally popular in eighteenth and nineteenth-century Britain. Some of the leading men of the kingdom attended matches and patronized boxers and the most important fights attracted tens of thousands of spectators. Supporters of the sport claimed that it showcased a timeless and authentic idea of English manhood, a rock of stability in changing times. 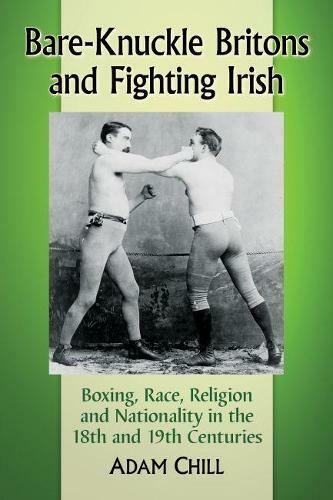 Yet, many of the best fighters of the era were Irish, Jewish, and black. This book shows how boxers, journalists, politicians, publicans, and others used national, ethnic, religious, and racial identities to promote boxing. Even as many of them championed the sport's pure English pedigree, Irish, Jewish, and black boxers claimed a prominent place for themselves. They used symbols, words, and deeds to cultivate a following in their own communities, who often gave their strong support in return. Far from the unblemished Englishness that some supporters imagined, then, boxing put the diversity of eighteenth and nineteenth century Britain on display.